First in the Family Tree series, this piece was given to my parents, Milt & Joanne Bolling, in celebration of their 50th Wedding Anniversary. Their photograph is encircled by a vintage lace collar, worn at one time by my Swedish great-great grandmother. 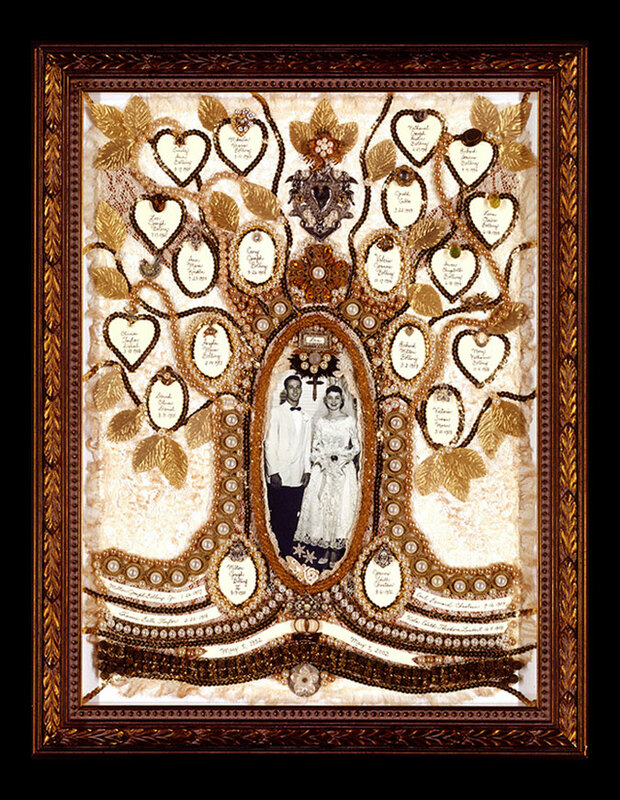 Names of children & grandchildren are written on parchment medallions bordered in gold sequins, and families are connected by strands of pearls.